Whether or not you are into awesome and comfortable linens, it cannot be denied that anyone would love to sleep in a bed with that silky soft bedding sheet that might just as well take you to dreamland! Today, we have that list just for you – for you to check out and determine for yourself if there is anything in this list that you actually like. 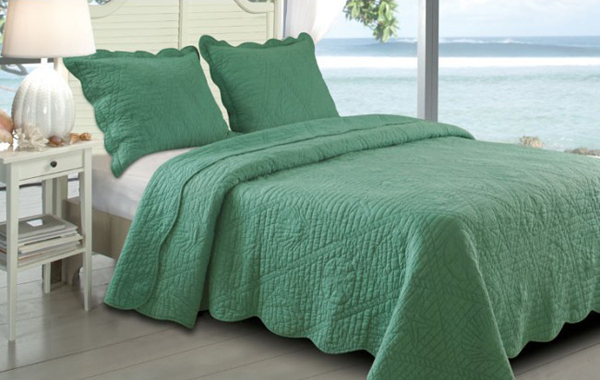 Below is a list of 20 Bed Linens in Different Shades of Green that will not only relax your eyes when you need them to but will also refresh the look of your bedroom. Do check out the bed linen designs below and be amazed at how unique and all at the same time comfortable each bed linen is. 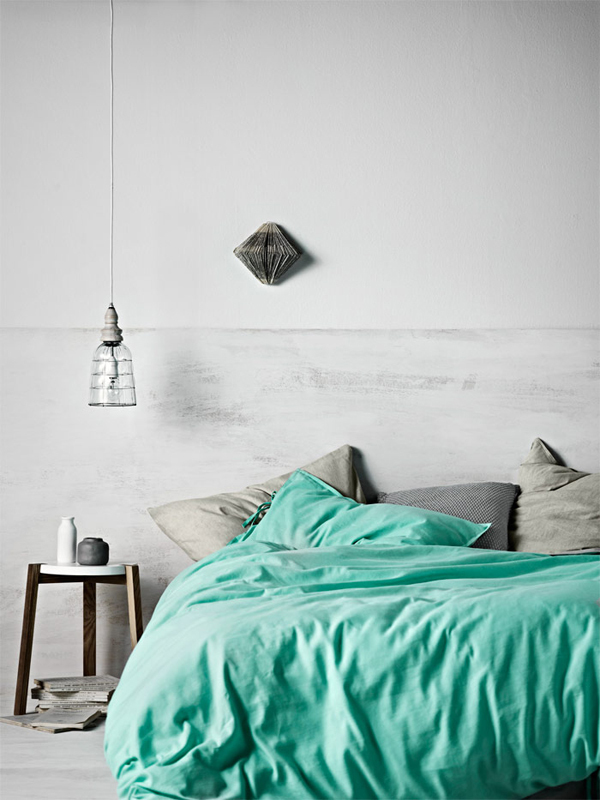 This bed linen color combination sure looks yummy – the combination looks a new one and delish! 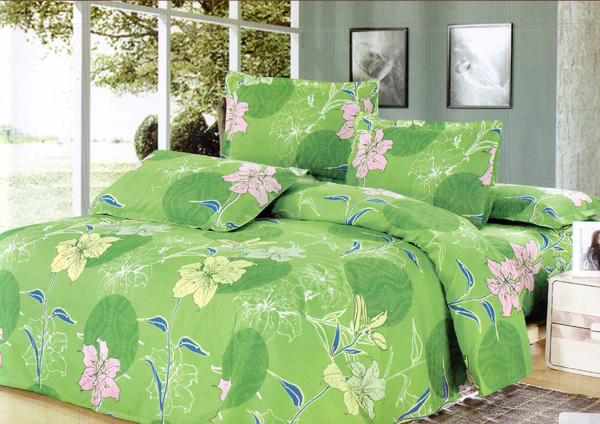 This cotton bedding set looks refreshing to the eyes. The color choice and the Calla Lily print sure adds interest to it. 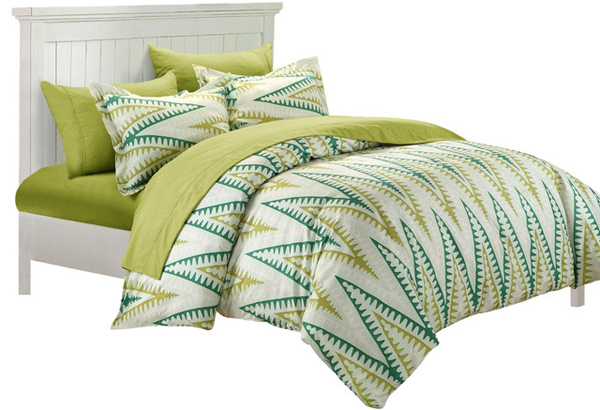 This is one silky bedding set that anyone would surely love to sleep in. 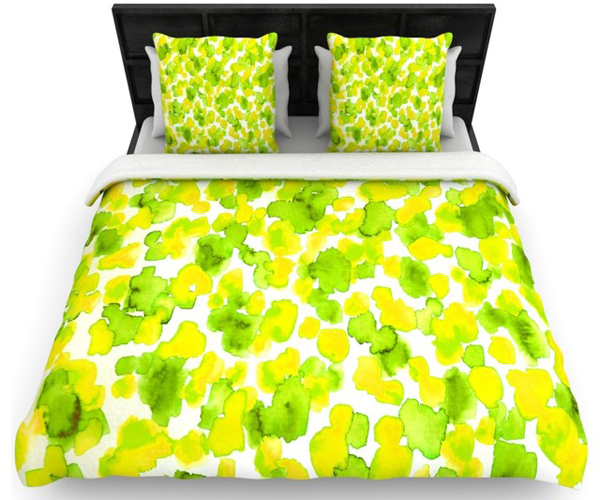 One cute yellow lime printed bedding that looks a bit child-like and in a good way. I am pretty sure that any lady friend would like to have this one because in fairness to it, it looks really comfortable and cute. Comfortable and smooth – two things we are looking for in our bedding sheets, right? Plus the elephant print makes it more interesting and fun! Dark green silky bed linen that is nice for giveaways, of course, if you can actually afford it. Haha! Looks expensive to me! Going green anytime? 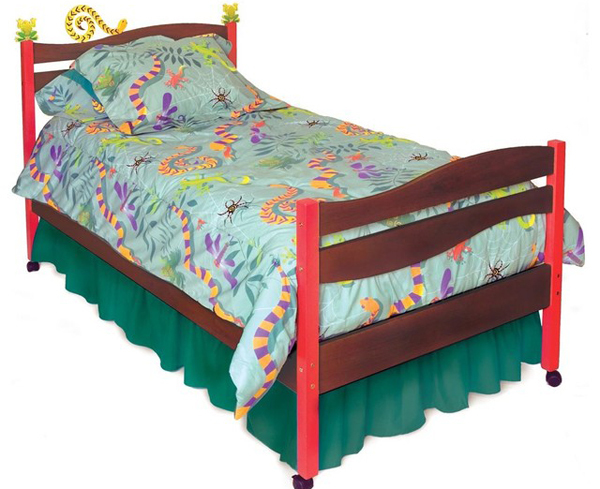 Check out this green bedding with cute giraffe spots in different colors and sizes. 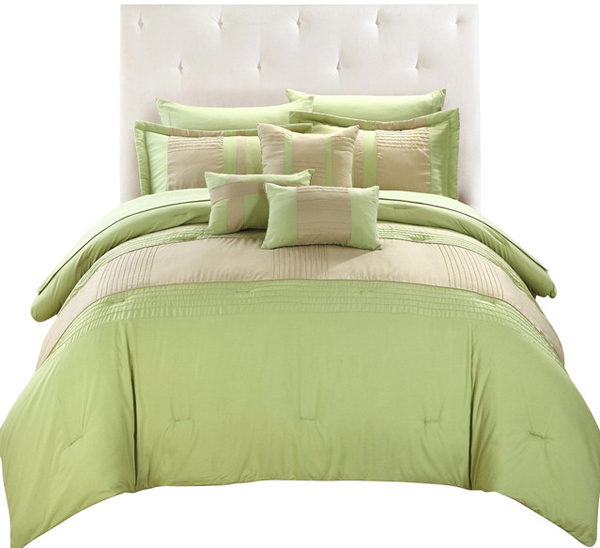 White and green bedding set looks both good to the eyes and to the taste (class), if you get my drift. 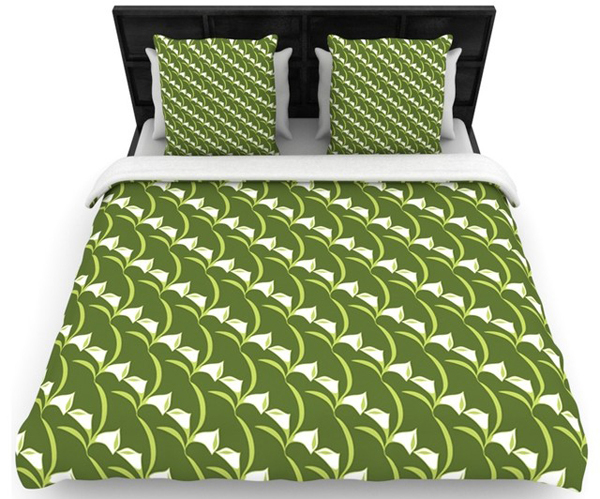 Want larger prints in your green bedding set? Check this one out and determine that for yourself. If this does not do it for you, I do not know what will. Lacoste sure made this one fancy and comfortable. Thinking that is one is just for St. P’s day, well, you’re dead wrong – comfortable and modern looking, this bedding set sure is something worth your purchase. Tracie Ellis sure presented her bedding designs with glam and pizzazz! Look at the curves this bedding set have! Matching beddings and pillow case – I just love the comfy look to it. Who said lime is just for your gin and tonic? How do you like the color of this bed sheet? 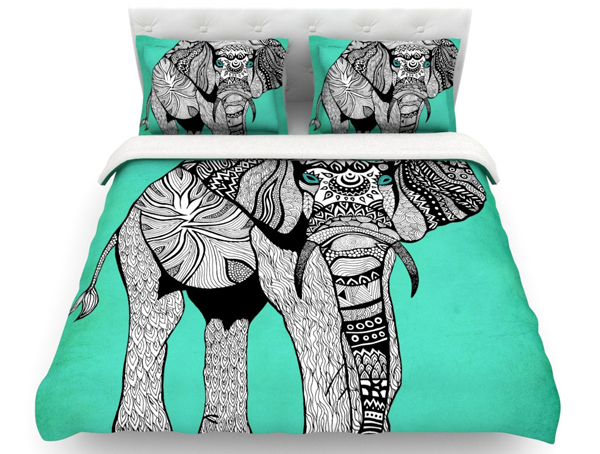 If you do not like this bedding set, I’m sure your kids will! 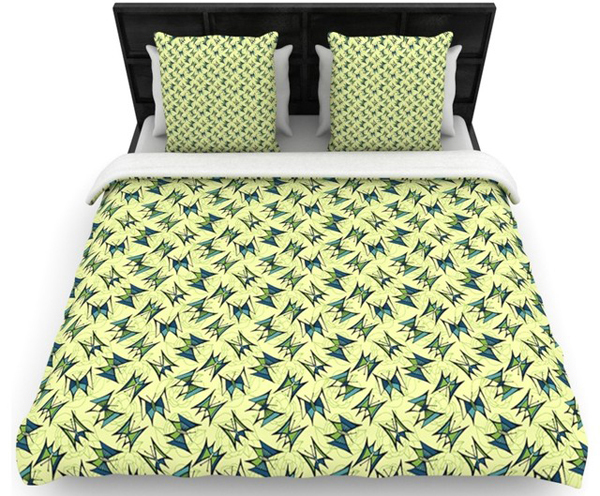 Another wonderful bedding set from Tracie Ellis. I love the mint color that this set has, pairing it with grey sure is just fancy and classy. 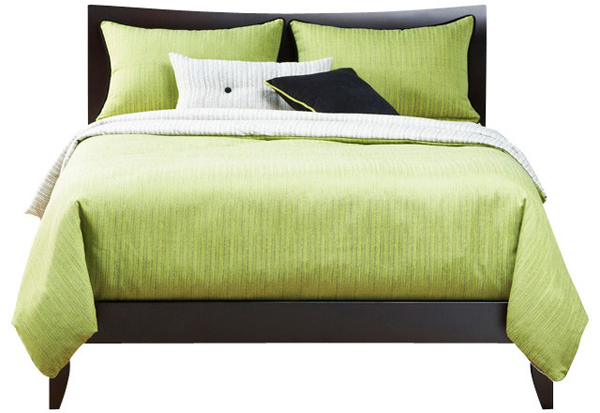 A comforter set made in heaven! Look at the cute print on it! If this is my bed, with that linens, I might not go out of my room! Very ethnic-looking linens, this sure looks one interesting and comfortable-looking bed linens. So, how do you like this list guys? 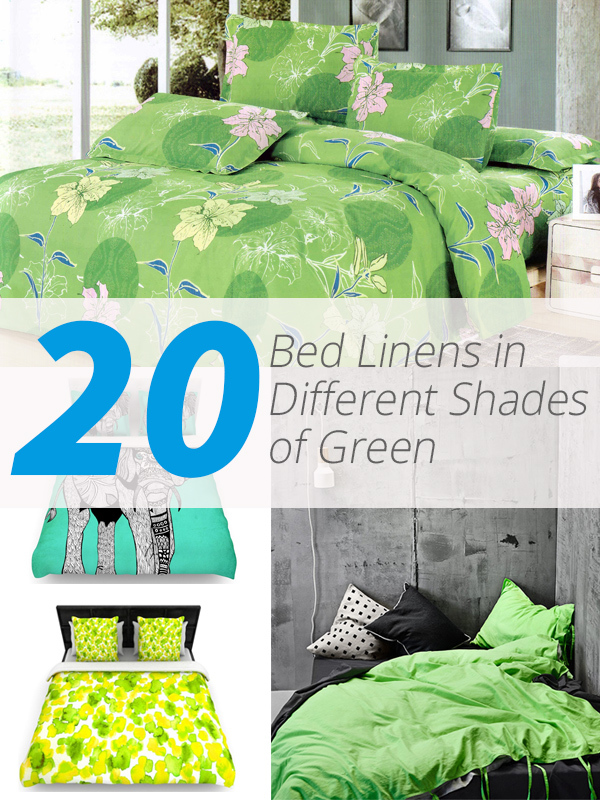 The 20 Bed Linens in Different Shades of Green sure is one awesome list to look back on and see how much modern our bedding sheet designs are today. 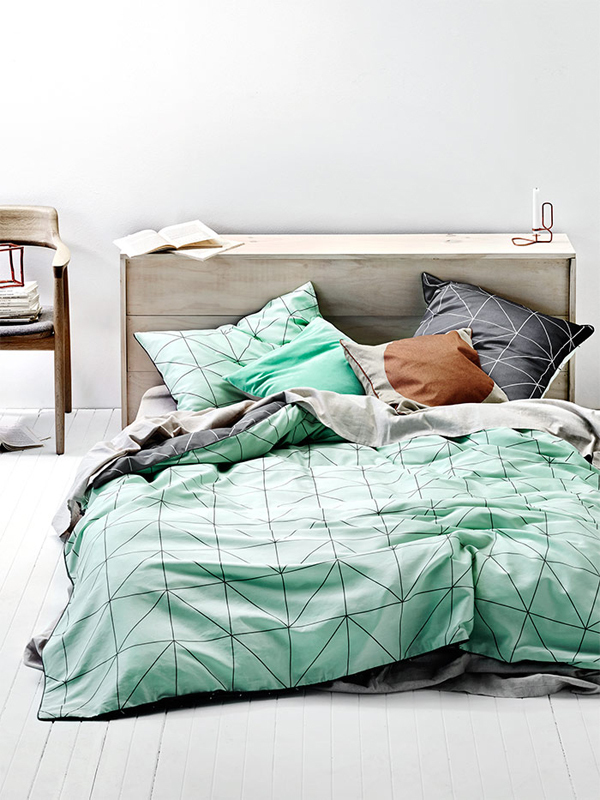 I mean, most of than not, we are drawn to buy plain bed linens but then again, if you see a unique color combination or print, it draws our attention! More to come from Home Design Lover!